Yoga has been a constant in Judith‘s life for over 20 years and has helped to keep her calm and centred throughout her career in the hectic music Industry. Now an experienced yoga teacher, she’s thrilled to be sharing everything that it has taught her and encouraging people to join her on the mat. Her teaching style is creative and flowing, synchronising breath and movement (Vinyasa Flow) and the sun salutation is key to this. She loves nothing more than teaching where the sun shines and nature flourishes and helping her students to re-connect to themselves and open to life’s flow. Judith is very excited to be saluting the sun in beautiful Italy and will help you to take your practise sky high thoughout this wonderful week at La Taverna al Monte. With regard to the Yoga Practise, all levels are welcome. The group will be small enough to guarantee a good level of attention to each student and ensure that you will progress in your practise throughout the week. New Special Prices***: bookings made from May 20th . If you do not wish to receive further information or are on this list by error, please let me know and I will remove you immediately. And if you’re not interested but know someone that might be, please forward on. Salute to the Sun finally arrives in Italy! 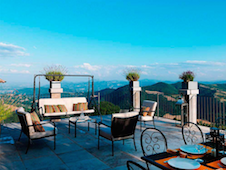 This first Luxury Yoga retreat 700M high up in the Umbrian Hills will take place at the fabulous La Taverna al Monte. In a fairytale setting, up above the clouds where a medieval walled hamlet caresses the hillside, we find La Taverna Al Monte with it’s beautiful terraces opening to the rolling hills and the vastness of the sky, and it’s here centred in its amazing panorama where an extraordinary sense of peace and tranquility prevail and nature surrounds, that you will practice twice daily flowing yoga with Judith Daniel. Yoga has been a constant in Judith‘s life for over 20 years and has helped to keep her calm and centred throughout her career in the hectic music Industry. Now an experienced yoga teacher, she’s thrilled to be sharing everything that it has taught her and encouraging people to join her on the mat. Her teaching style is creative and flowing, synchronising breath and movement (Vinyasa Flow) and the sun salutation is fundamental. She loves nothing more than teaching where the sun shines and nature flourishes and helping her students to re-connect to themselves and open to life’s flow. Judith is very excited to be saluting the sun in beautiful Italy and will help you to take your practice to a higher level thoughout this wonder-full week at La Taverna al Monte. The week’s food will be largely sourced from the surrounding earth – a divine and delicious mainly plant based and very local menu will be provided by the villa’s own manager, Patricia, who brings to the table a lifetime’s experience in restaurants and catering. Beyond creating wonders in the kitchen from regional delicacies like truffles, chestnuts and celebrated young wild fennel, Patricia will also take care of your every need and totally spoil you throughout your stay. As will highly skilled Italian Massage therapist, Claudia Tessarin, who will be there to soothe away any aches and pains with her healing hands. Claudia, who specialises in many styles of massage including Thai Yoga Massage and Deep Tissue, will tailor your time with her to suit your specific needs and overall well-being. One session at her healing hands will have you relaxed, stress-free and floating on air. 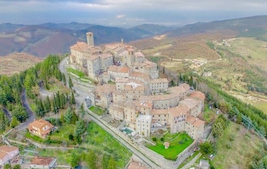 There will also be an opportunity to explore the surrounding area and its sacred history including Mount Subasio and Assisi. Take your practise sky high with this week above the clouds! Create space in both body and mind through opening to the wild and beautiful space around you. Salute the glorious Italian sun and all it has to offer in its rich and diverse nature – let go and soar! 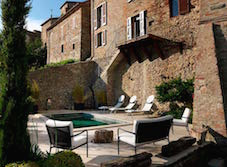 Spina’s design duo Robbie Spina & Joe Zito have created a unique space as the perfect backdrop for a true luxury retreat In Umbria. with their inimitable style complimenting this natural environment for wellbeing and yoga., A renovated medieval tower will host the retreat in collaboration with exciting yoga teachers and well-being practitioners, Set amongst probably some of the most unspoilt countryside in Italy this impressive location is unbeatable for its sense of quiet as well as being complimented by also being located within a real Umbrian hamlet with its own amenities to hand. 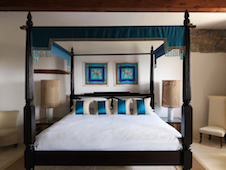 Small groups Only: By limiting numbers to a maximum of sixteen people, the retreat offers a truly personalised service and quality which allows for flexibility to adapt the retreat to suit each individual’s needs. A party of friends booking the whole retreat together feels at home without any compromise. 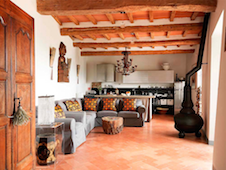 Location: The house itself is an inspiration; a former palace and convent set within the walls of the medieval hamlet of Monte Santa Maria Tiberina, 700 m high above sea level. 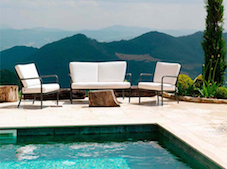 An extraordinary sense of tranquillity prevails from which yoga & meditation becomes a natural practice set amidst the deep green colours of the Umbrian hills. The views: are magnificent; overlooking the Apennines in the distance, and facing the sacred mount of Monte Subasio where the hermitages of great aesthetics are located. Classes & Therapies: Yoga of all different types (see below) and at every level are adapted for the visitor. Having brought together experienced and respected teachers; with there own particular blended styles from Europe and Canada has been a pleasure for Joe and Robbie (as experienced yogis themselves) as well as specialist therapist masseurs and accompanied by a wonderful cook, also a practitioner of yoga. Food: Locally prepared food under the supervision of a wonderful Cordon Bleu cook experienced in the hospitality sector has added a wonderful additional level where nutrition and freshness is of the highest importance, Local produce and specialities make it a joy as well as a locally family run local eatery for a soft escape; only a short walk away in the hamlet itself. Food: Locally prepared food under the supervision of a wonderful Cordon Bleu cook experienced in the hospitality sector has added a wonderful additional level where nutrition and freshness is of the highest importance, Local produce and specialities make it a joy as well as a locally family run local eatery for a soft escape; only a short walk away in the hamlet itself. 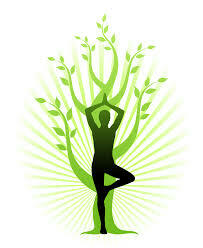 All our teachers are experienced to adapt to all levels of each person’s yoga practice. Periodically variations on the basic postures are demonstrated with guests free to have a go or merely observe the next level of practise. After a few days of daily yoga, guests often surprise themselves by achieving that posture they saw earlier in the week. Yoga is 8-10 a.m. every morning on our private, open-air shaded terraces. Dynamic Hatha: A midway yoga something between vinyasa flow and gentle hatha with. Sun salutation and some flow, but with a focus on the depth of postures. Optional Afternoon Classes: For those that want to take the opportunity to deepen their practise, customised classes can be optionally arranged directly with the teachers. The cost of such classes is €75 per hour per person. There will normally be a few like-minded people who want to share the cost, bringing it down to a lower rate per person. We are privileged to have extensive therapies offered by Bruno. Every one of his client’s that we have met sing his praises. Swedish Massage: A relaxing, soothing massage using fluid movements, passive stretching and aromatherapy essential oils. This technique eases daily stress, increases circulation, aids lymph drainage and balances the mind and body. Deep Tissue / Neuro-Muscular and Sports Massage: Firm pressure and trigger point therapies are utilized to relieve muscle tension, pain and stress. It helps to re-align the layers of muscle and connective tissue. The movement is slower and the pressure is deeper. This therapy helps to break down adhesions, restore normal movement and increase circulation. Thai Yoga Massage: Thai Massage uses passive stretching and “assisted yoga” positions to rejuvenate and relax the entire body. These techniques are designed to balance and stimulate the flow of energy throughout the entire body, to prevent injury and illness and to increase flexibility. Reflexology: Practice of applying pressure to the feet and hands utilizing specific thumb, finger and hand technique. It is an ancient technique based on a system of energy zones and reflex areas that affect the health and function of the body’s organs and various systems. Hawaiian Lomi-Lomi Massage: Ancient Polynesian form of massage that consists of a combination of long continuous strokes with oil. It is a gentle, deep massage that balances the flow of energy through the body. Profoundly relaxing. Lymphatic Drainage Massage: This technique uses a special rhythmic massage stroke to assist the natural flow of lymph and assists the body in its function of cleaning and eliminating toxins from the lymph and circulatory systems. Helps relieve water retention and may reduce the appearance of cellulite. Head and Face Massage 30min: With or without oil, this massage gently stimulates pressure points on the scalp and face. It is very effective for relieving headaches, sinusitis, stress and tension and increases circulation. Energy Balancing Bodywork: Assisting the unlimited self-healing power of the body and mind with a combination of techniques such as: Quantum touch therapy, Shiatsu, Reiki, Reflexology……. Wonderful people whom Robbie & Joe met at special yoga retreats in Bali who have now been warmly invited to join the retreat as guest teachers for 2016. Natapura Yoga: Italy/UK. Hatha yoga for all levels. A classic yoga style from highly devoted and experienced teacher whose attention to the breath & subtlety make for the most transformational yoga and meditation. Amanda Lynne Ings: Canada: Unique blend of Hatha, Bhakti & Pranayama Yoga: a focused gentle technique lovingly mixed together to really stimulate the inner senses and stretch the body in a spontaneous flow, so that mediation occurs naturally. 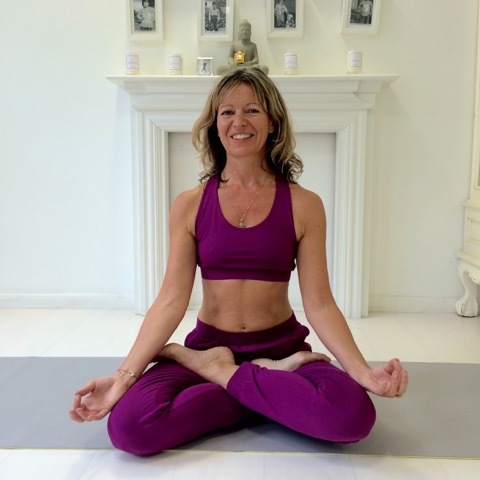 Judith Daniel: Yoga has been a constant in Judith’s life for over 20 years and has helped to keep her calm and centred throughout her career in the hectic music Industry. Working in the highly stressful areas of PR and Events, she often said that she would love to give it all up and become a Yoga Teacher. And finally, she did. Now she’s thrilled to be sharing everything that it has taught her and teaching others to benefit from this wonderful practice and philosophy from the East which is so relevant in the West today. Judith has been practising yoga for over 20 years. She is Yoga Alliance certified (500 Hours) and completed her Teacher Training in India with Quantum Yoga founder, Lara Baumann. An international yogi and sun-seeker, she has since divided her time between the UK, India, Sri Lanka and Barbados, where she teaches classes, retreats and teacher-trainings. She has been teaching her annual Barbados retreat ’Salute to the Sun’ for the last 4 years and is thrilled to be bringing it to Italy. Her teaching style is creative and flowing, synchronising breath and movement and she believes that the sun salutation is key, strengthening the body and opening us up to the wonders that surround us. And she loves nothing more than practicing and teaching where the sun shines and nature flourishes and helping her students to re-connect to themselves and open to life’s flow. She is very excited to be saluting the sun at La Taverna al Monte. Teachers offer one on one yoga as well as daily classes. Teacher: Lucy Toop runs the Art centre at Rimondato located nearby and provides classes on a one to one basis or as a group. Quotations on request. Small intimate groups (maximum of 12 people). The Retreat itself is a beautiful and welcoming place with sophisticated furnishings & truly luxurious: Available for half or full board. Reservations are subject to a minimum no of persons attending the retreat.